Out of stock; sorry, this item is not currently available to order. An optical geometric print, the Diamond Door Tea Towel is a limited edition design by Laura Spring. 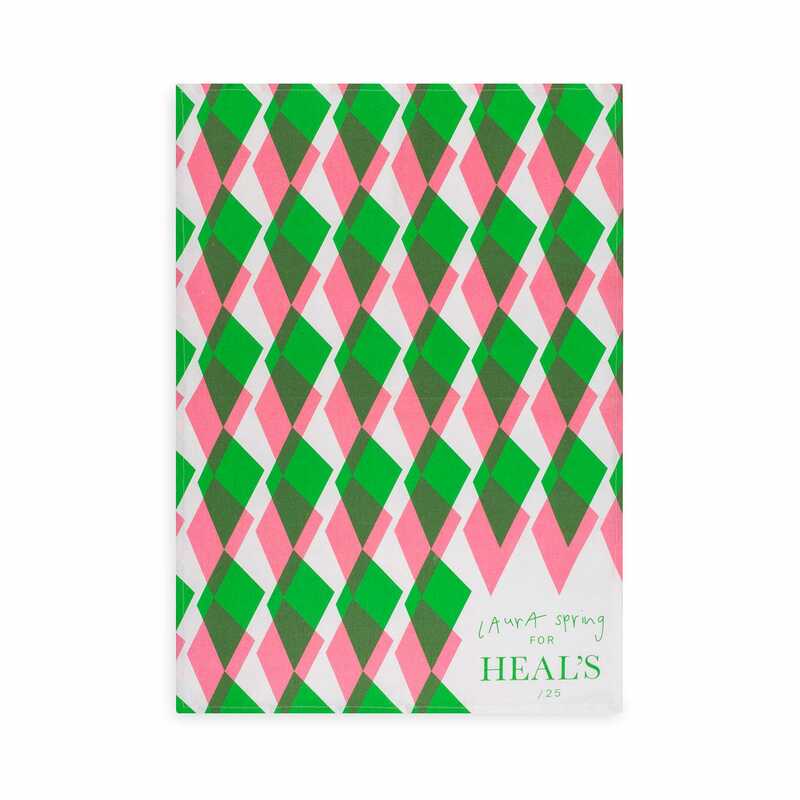 Exclusive to Heal’s and printed in a batch of just 25, this vibrant pink and green cotton tea towel is screen printed by hand within Laura’s Staffordshire studio.